Powerwolf have rose to fame over the last few years due to their lyrics and imagery, both of which aren’t usually found within the power metal genre. Blessed & Possessed is the band’s first album to be released through Metal Blade (Providing you don’t include the History of Heresy releases) and the band’s sixth studio album. The album is opened up immediately by the title track, Blessed & Possessed, which begins with a rather tragic introduction that would put even Shakespeare to shame. This introduction is followed by a flurry of riffs and organs with soaring vocals. The chorus is easily memorable, hooking itself into your memory. Dead Until Dark contains the typical Powerwolf lyrics but greets you with an onslaught of guitar melodies and poignant vocals. The guitars and organs make for perfect dance partners in Army of the Night, with some very NWOBHM sounding passages. Armata Strigoi focuses on vampires and allegedly is Romanian for “Undead Army”. The intro comes across as very grandoise and majestic as the instruments parallel one another throughout the song. We Are The Wild has some similarities to Sacred & Wild, but it also has its differences. The vocals appear to march at a different pace to the instrumentation but this works out in the favour of Powerwolf. Higher Than Heaven is a fast-paced, action-packed song that refuses to take prisoners as guitars are unsheathed and lay proverbial waste with their jumping riffs. Combat & Christ is a well coordinated attack between the guitars and organs, with reinforcements from the drums. The vocals have a commanding element to them, as a story is sung of the First Crusade. Sanctus Dominus (Latin for Holy Lord) is very much like a hymn during in the chorus but there is a dynamic use of vocals that echo throughout the track. Sacramental Sister sounds like it was influenced by Iron Maiden‘s Hallowed Be Thy Name as the opening riff shares a common sound with that song. The track is composed of a masterful combination of instrumentation and vocals, with some energetic moments here and there. All You Can Bleed displays a very poetic use of the band’s talents, release short but sweet fumes of darkness in preparation of the final song. The album closes with Let There Be Night. The song’s atmosphere is laid out by the orchestration and vocals, painting a dusky image with a sombre sound. Powerwolf are still at the top of their game and Blessed & Possessed will show the world that the wolves of metal are still the alphas of the pack with no sign of slowing down. 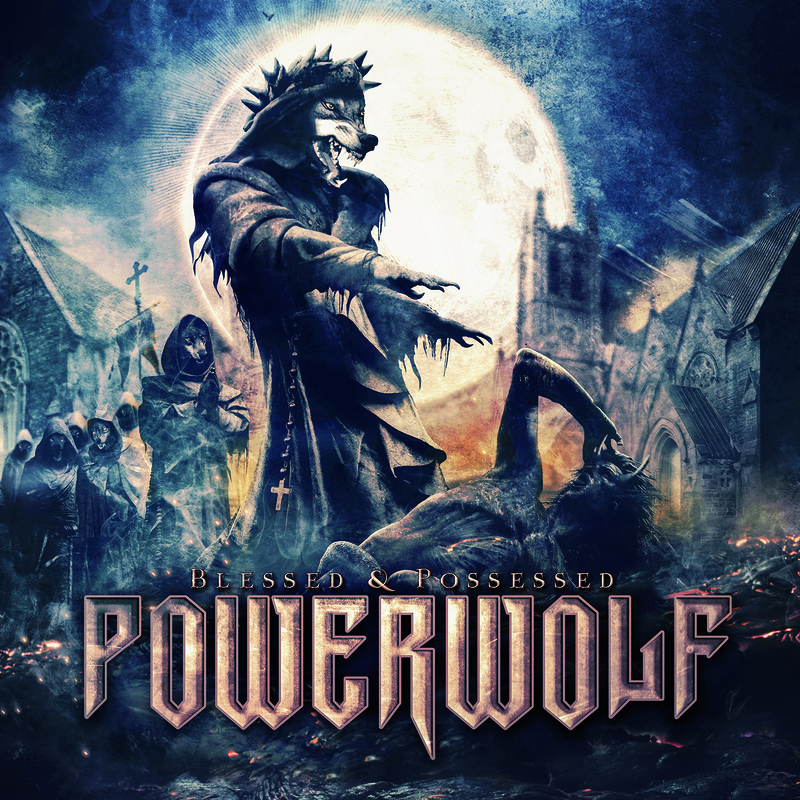 With elements borrowed from their previous releases and new sounds brought in, Blessed & Possessed is a highlight in Powerwolf‘s discography. This entry was posted on 3rd July 2015 at 2:45 pm and is filed under CD, Metal with tags Blessed & Possessed, Blood Of The Saints, NWOBHM, Power Metal, Powerwolf, Shakespeare, Werewolf, Werewolves. You can follow any responses to this entry through the RSS 2.0 feed. You can leave a response, or trackback from your own site.